Born in Vienna on January 23rd 1897 as the second of two daughters to civil servant father Erwin, and housewife mother Julie, Margarete Lihotzky was raised in the, relative, comfort of Vienna-Margareten; the family sharing the house of and with her maternal grandfather, the civil engineer Rudolf Bode, and in an atmosphere “full of education, but free from any material pride or intellectual arrogance”2. Having attended first the local Volksschule and subsequently the Bürgerschule, Margarete Lihotzky spent two years at the Graphische Lehr- und Versuchsanstalt before entering the Vienna Kunstgewerbeschule – Applied Arts College – in 1915, where, after completing the universal Preparatory Class, she specialised in architecture in the atelier of Oskar Strnad: the first female to study architecture at the Kunstgewerbeschule, thereby making her one of the first practising female architects in Austria. Upon her graduation in 1919 Margarete Lihotzky initially spent six months in Rotterdam as a chaperone for a group of children evacuated from the hunger and chaos of post-War Vienna; using her spare time to both work in the office of a local architect and to study contemporary Dutch building and urban planning practices, for all the garden estates, including attending lectures by H P Berlage, one of the leading protagonists of Dutch reformist urban planning. Returning to Vienna in the summer of 1920 Margarete Lihotzky cooperated with the garden architect Alois Berger on a competition entry for a Garden and Settlement Complex on the Schafberg, Vienna, the pair being awarded fourth prize for their reduced, standardised, proposal; and a competition entry which led to Margarete Lihotzky taking up a series of positions within the Vienna Siedlerbewegung – Settler Movement – at that time one of the more experimental European urban planning programmes, and thereby positions which brought her into contact with international architectural circles. Including with Ernst May who in November 1925 invited Margarete Lihotzky to join his Neues Frankfurt project. An offer she gladly accepted and which saw her employed in the Standardisation Department where, as she notes, “everything was designed that was repeatable, for example all the doors, all the windows and the whole house”3. Including kitchens. 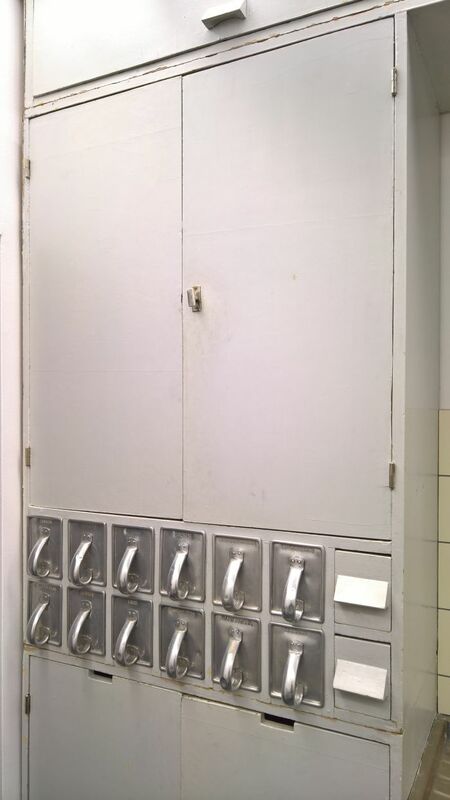 The so-called Frankfurter Küche, a standardised, in-built kitchen which was installed in all Neues Frankfurt flats being that for which Margarete Lihotzky is popularly, if somewhat narrowly, best known. In 1927 Margarete Lihotzky married the German architect, and fellow Neues Frankfurter, Wilhelm Schütte, taking on the name Margarete Schütte-Lihotzky, and upon the demise of Neues Frankfurt in 1930 Margarete Schütte-Lihotzky and Wilhelm Schütte travelled with Ernst May to Moscow where they developed numerous urban planning and architecture projects. Until the war intervened. Unwilling to return to Nazi Germany, Margarete and Wilhelm initially moved to Paris before quickly travelling on to Istanbul where both found teaching positions at the Académie des Beaux Arts, and where Margarete became involved with the Austrian communist resistance: an involvement which ultimately saw her arrested in Vienna on January 22nd 1941 and charged with treason. Avoiding the death penalty Margarete Schütte-Lihotzky was sentenced to 15 years Workhouse; a sentence she served in Aichach, Bavaria, until liberation through allied troops on April 29th 1945. Returning to Vienna Margarete Schütte-Lihotzky found that on account of both her war-time activities in the resistance, and her post-war activity in the Communist Party’s Bundes Demokratischer Frauen, she was, when not completely denied, then certainly hindered in her access to public contracts, for all the social/childcare projects in which she had come to specialise. Consequently, while able to realise several apartment blocks for the city authority, in the immediate post-war years she predominately developed private commissions, and projects for the Communist Party. However, as the immediate post-war years became distant post-war decades she was increasingly awarded public commissions, including several Kindergarten projects. Beyond her work in Austria, Margarete Schütte-Lihotzky spent six months in 1963 in Cuba, and in 1966 six months at the East German Bauakademie in East Berlin, in context of both helping develop plans for childcare facilities, in addition she was active in institutions such as CIAM, UIA and the Internationalen Demokratischen Frauenföderation. Although Margarete Lihotzky first found a wider fame in Frankfurt, a period that is often the principle focus of Schütte-Lihotzky biography’s, in many regards the more important period is the years leading up to her move to Frankfurt, being as it is a period which not only neatly explains where she came from, but also where she could, potentially, have gone. Had the war not intervened. The story, or at leas our telling of it, begins in 1917 when the then 20 year old Margarete Lihotzky entered, and won, a student “Arbeiterwohnung” – Workers Housing – competition; her entry proposing not only a building complex with an open garden/courtyard in the centre, but floor plans which foresaw separate bedrooms for parents and children and also the separation of the living room/kitchen from the scullery, and the thereby improved hygienic standards. Interesting as the proposal is/was, just as, arguably more, important is how it was realised: having informed Oskar Strnad that she was planning entering the competition, he advised her that before she began she should go and visit the working class districts to help her better understand the task. Which she did. And although, as she notes, she was aware of something of the poverty amongst the Viennese working classes of the period, that visit not only opened her eyes to the full brutality, but also led her to understand the acute nature of the housing problem, of the total inadequacy of what passed as housing in the slums of early 20th century Vienna. Her first opportunity to practice that came in her work for the Siedlerbewegung. 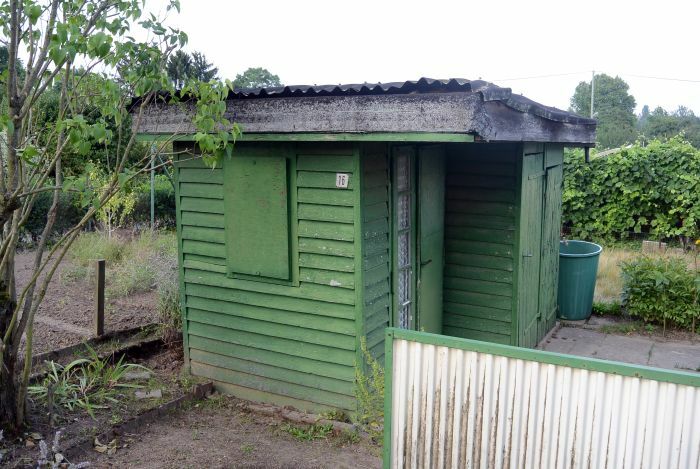 Arising, largely, as a response to the contemporary food and accommodation shortages, the immediate post-war years saw ever increasing numbers of Viennese squatting land on the edge of the city, for all to the west of the city, on the edges of the Wienerwald, building themselves shacks and developing small vegetable gardens, and thereby ensuring something approaching an existence minimum. What began as a by necessity driven, self-help initiative, quickly achieved an official status: the city making ground and building materials available on the understanding the residents contributed their unpaid labour to the building work and organised themselves into self-administered housing associations. To help coordinate the developments, and to advise and assist with the planning and development of the estates, in 1920 Vienna City Council established a Siedlungsamt, initially under the direction of Max Ermers, later Hans Kampffmeyer, and who employed the services of architects such as Josef Frank or Adolf Loos, and also Margarete Lihotzky, who not only designed standardised house types and the associated, and equally standardised, furniture, fixtures and fittings for the interiors, but for all developed her ideas on a Taylorist rationalisation of housework. Margarete Lihotzky did. And combined that which she learned from the railway dining car, with her experiences of Holland, “their kitchens function better than any other”12, a very obvious fascination for the cleanliness and order of the pharmacy laboratory, applied some Taylorist thinking on housework and brought this all to bear on the kitchens she developed for the Siedlerbewegung; including a, more or less, pre-cast concrete kitchen proposal, designed not only to be easily maintained in itself, but which through the closed connection to the floor made floor cleaning easier. And considerations and proposals which, unquestionably, played a role in Ernst May’s offer to join him in Frankfurt. Except it is obviously a lot more than that. Which is understandable, by that stage the kitchen, and for all the rationalisation of the kitchen, had been a major focus of her work for over a decade. And tended, and continues, to overshadow that which Margarete Schütte-Lihotzky realised and achieved. Or as she opined, beseeched? in 1984, “I do not want to be seen only as a kitchen architect, that’s too stupid”14 And somewhat narrow. In Vienna she had built family homes, developed a project for a tuberculosis convalescence estate, established and ran the so-called “Warentreuhand” which ensured the those in the settler movement had access to affordable, contemporary furnishings and fittings, and taken her considerations on rationalisation to furniture, developing a series of so-called vorgebaute raumangepaßte möbel, in-built furniture which she claimed could lead to space savings of some 35-40% over conventional furniture, and which found an echo two decades later in George Nelson’s Storagewall system. 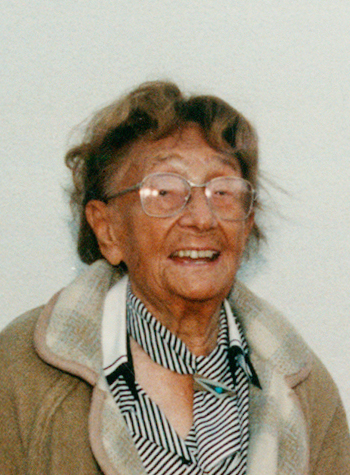 In Frankfurt she developed a concept for integrating flats for the many single women to be found in post-War Frankfurt into the new estates and thereby avoiding the very real risk of social isolation many faced, and also developed plans for childcare facilities, the later being the principle focus of her work in Moscow, and the subsequent decades, including the development in the 1960s of a, though never formally realised modular building system for Kindergarten. And thereby a body of work which reflected not only the evolving technological realities of the periods, but also the evolving social realities, and which always had the user at the centre of their considerations, always considered how the lot of the individual, and by extrapolation the wider community, could be improved. Yet, despite her protestations, it is for a kitchen that she is most popularly remembered. If not always for the correct reasons. 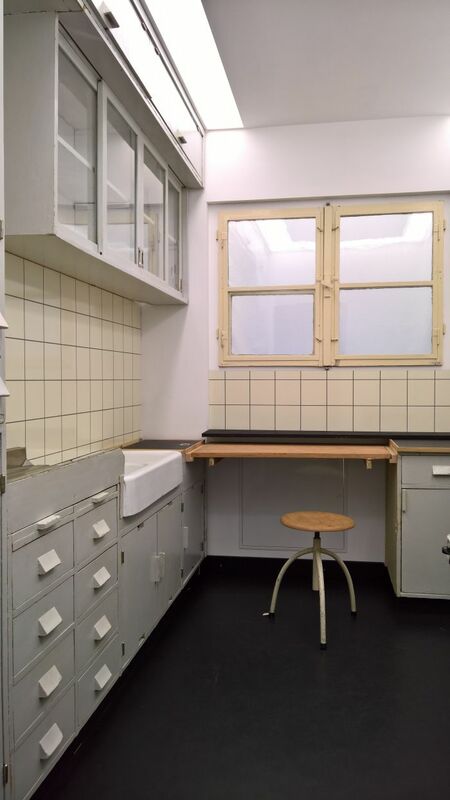 And so while Margarete Schütte-Lihotzky should never be remembered as purely a kitchen architect, understanding how and why she became known as one, brings you closer to Margarete Schütte-Lihotzky architect. 9. Yes, and through a greater contribution from men, on a 50/50 separation of household chores, but let’s focus here on things Margarete Lihotzky could directly influence. 16. We’re admittedly a little sceptical about this claim, “no experience in cooking” ??? For example, in those first few months in Frankfurt, alone in a new city, did she only eat out? Every meal? Every day? Never so much as boiled an egg? However, while we don’t believe the claim is 100% true, we do believe it represents 100% the distance between Margarete Lihotzky and daily household routines.